Ayurvedic medicine (also called Ayurveda) is one of the world’s oldest medical systems. It originated in India more than 3, 000 years ago and remains one of the country’s traditional health care systems. Its concepts about health and disease promote the use of herbal compounds, special diets, and other unique health practices. 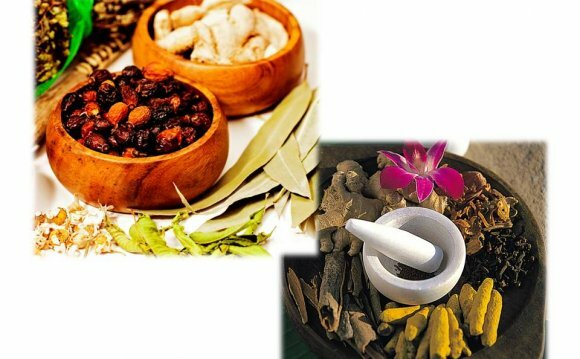 India’s government and other institutes throughout the world support clinical and laboratory research on Ayurvedic medicine, within the context of the Eastern belief system. But Ayurvedic medicine isn’t widely studied as part of conventional (Western) medicine. This fact sheet provides a general overview of Ayurvedic medicine and suggests sources for additional information. Ayurvedic medicine uses a variety of products and practices. Some of these products—which may contain herbs, minerals, or metals—may be harmful, particularly if used improperly or without the direction of a trained practitioner. For example, some herbs can cause side effects or interact with conventional medicines. Also, ingesting some metals, such as lead, can be poisonous. Studies have examined Ayurvedic medicine, including herbal products, for specific conditions. However, there aren’t enough well-controlled clinical trials and systematic research reviews—the gold standard for Western medical research—to prove that the approaches are beneficial. Tell all your health care providers about any complementary and integrative health approaches you use. Give them a full picture of what you do to manage your health. This will help ensure coordinated and safe care. The term “Ayurveda” combines the Sanskrit words ayur (life) and veda (science or knowledge). Ayurvedic medicine, as practiced in India, is one of the oldest systems of medicine in the world. Many Ayurvedic practices predate written records and were handed down by word of mouth. Three ancient books known as the Great Trilogy were written in Sanskrit more than 2, 000 years ago and are considered the main texts on Ayurvedic medicine—Caraka Samhita, Sushruta Samhita, and Astanga Hridaya. The majority of India’s population uses Ayurvedic medicine exclusively or combined with conventional Western medicine, and it’s practiced in varying forms in Southeast Asia. Ayurvedic medicine uses a variety of products and practices. Ayurvedic products are made either of herbs only or a combination of herbs, metals, minerals, or other materials in an Ayurvedic practice called rasa shastra. Some of these products may be harmful if used improperly or without the direction of a trained practitioner. Ayurvedic products have the potential to be toxic. Many materials used in them haven’t been studied for safety in controlled clinical trials. In the United States, Ayurvedic products are regulated as dietary supplements. As such, they aren’t required to meet the same safety and effectiveness standards as conventional medicines. For more information on dietary supplement regulations, see the National Center for Complementary and Integrative Health’s (NCCIH) fact sheet . In 2008, an NCCIH-funded study examined the content of 193 Ayurvedic products purchased over the Internet and manufactured in either the United States or India. The researchers found that 21 percent of the products contained levels of lead, mercury, and/or arsenic that exceeded the standards for acceptable daily intake. Other approaches used in Ayurvedic medicine, such as massage, special diets, and cleansing techniques may have side effects as well. To help ensure coordinated and safe care, it’s important to tell all your health care providers about any Ayurvedic products and practices or other complementary and integrative health approaches you use. Most clinical trials of Ayurvedic approaches have been small, had problems with research designs, or lacked appropriate control groups, potentially affecting research results.